Proprietary Name: Qs Plus Plus Instant Hand Sanitizer What is the Proprietary Name? Non-Proprietary Name: Benzealkonium Chloride What is the Non-Proprietary Name? 62257 - Abc Compounding Co., Inc.
Qs Plus Plus Instant Hand Sanitizer with NDC 62257-457 is a a human over the counter drug product labeled by Abc Compounding Co., Inc.. 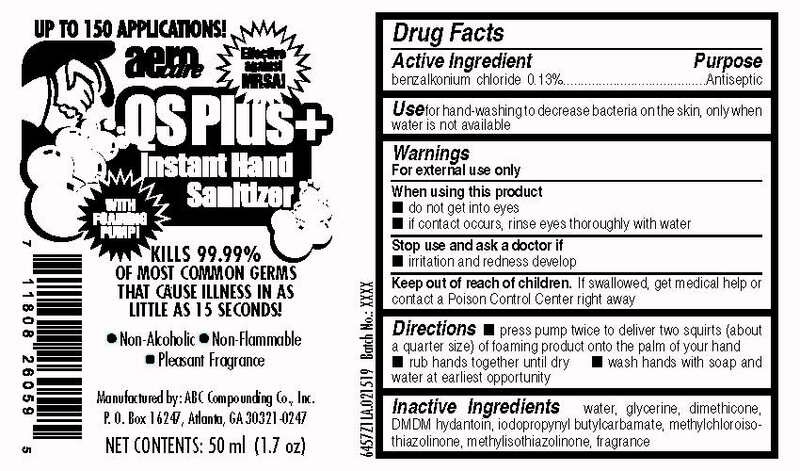 The generic name of Qs Plus Plus Instant Hand Sanitizer is benzealkonium chloride. The product's dosage form is liquid and is administered via topical form. Labeler Name: Abc Compounding Co., Inc.